Perhaps most pathetic were the sad attempts at "morgue files" I pieced together in the mid-90s. In the days before the Internet contained almost everything you needed to know, some experts suggested you clip photos from magazines and newspapers to inspire you and help you with art projects and the like. So now I have about 15 folders with helpful labels like "Costumes" and "Kids," all containing between 1 and 6 clippings from newspapers and magazines. But my files weren't a complete waste. While sorting through my old papers, I stumbled across a folder simply labeled "Holograms." 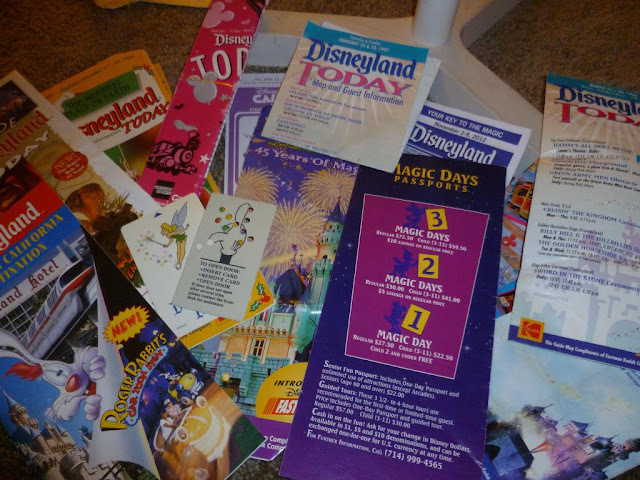 Oh, 1990s Julie, how could I be irritated at you for hoarding ephemera? I forgive you. Actually...I think I love you.